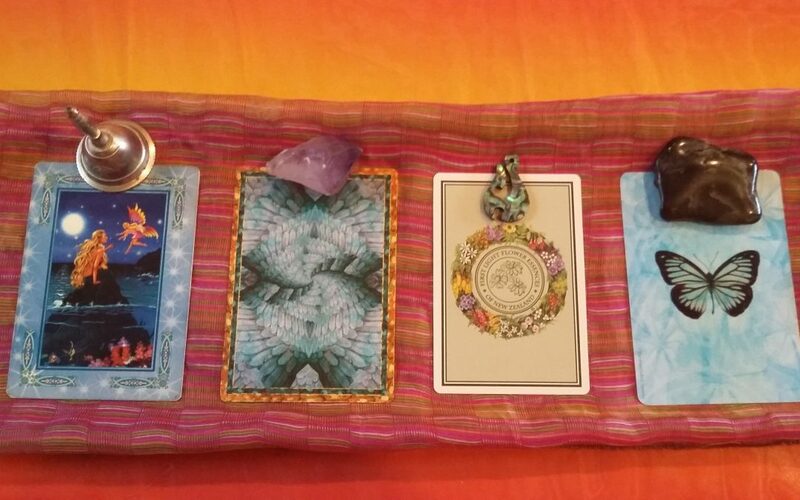 The biggest surprise to me about my healing practice has been the amount of interest in my oracle readings. 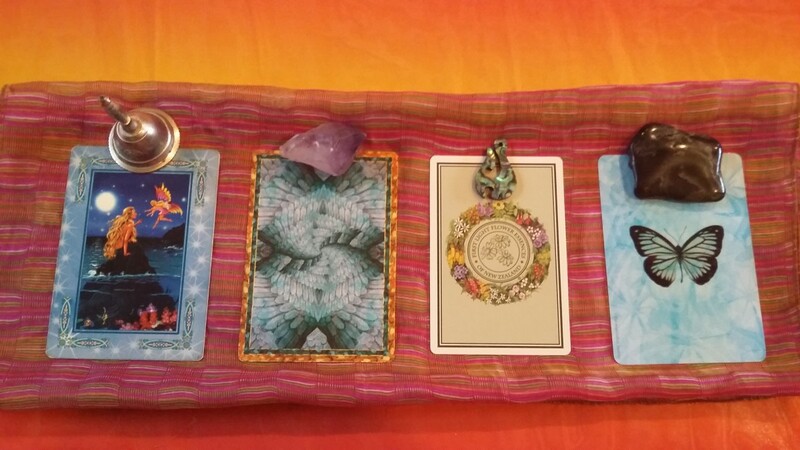 So much so that I now have a day dedicated almost exclusively to doing oracle readings for my clients. 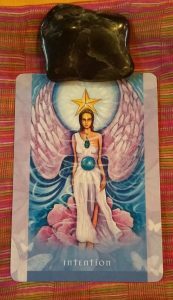 I’ve been doing oracle and intuitive readings for friends and family for over a decade, and have had stalls at festivals and markets giving readings over the years, but it always seemed like a side thing to me. An accompaniment rather than the main dish if you will. 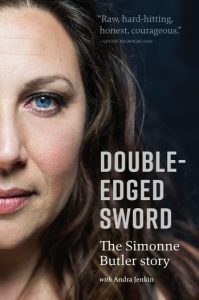 My focus at Recalibration Healing with Simonne is on healing the spirit, clearing trauma and unresolved pain and empowering my clients to live healthy happy purpose driven lives. 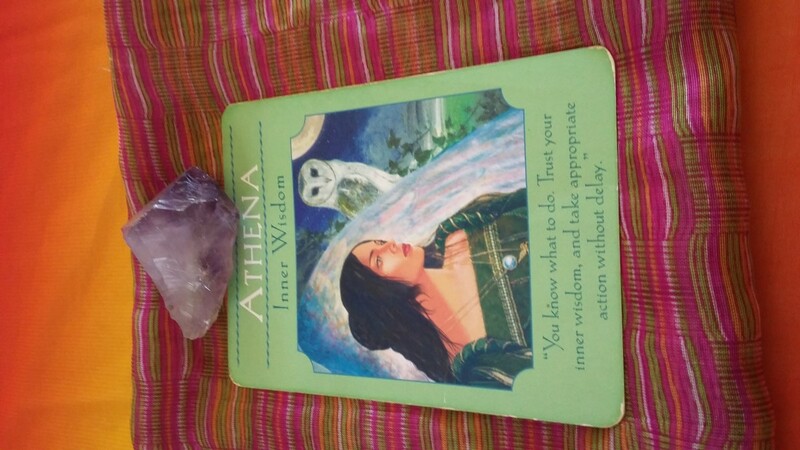 This will always be the case, but it seems also that giving oracle readings and working with my intuitive powers is going to be a much bigger part of my practice and life that I previously thought. To celebrate this realisation I have started giving free oracle guidance once a week on my Recalibration Healing with Simonne Facebook page. On a Thursday (New Zealand time) I put up four cards with four items and get people to pick the one they resonate with, then on Friday I put up the answers. 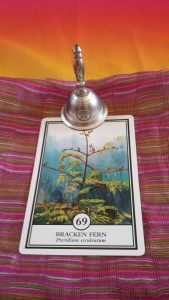 To give you a taste of what’s happening I thought I’d share the last two Oracle Reading Friday’s free guidance with you here. Here are the cards and items from September 8th 2016. #1. 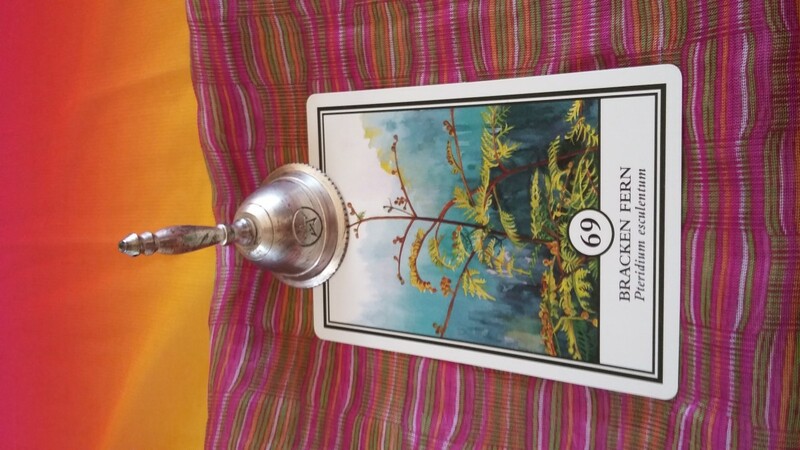 First Light Flower Essences of New Zealand card with bell. Bracken Fern. Triumph. It’s time for you to triumph over the challenges before you. If there is anything you need to take action on now is the time. 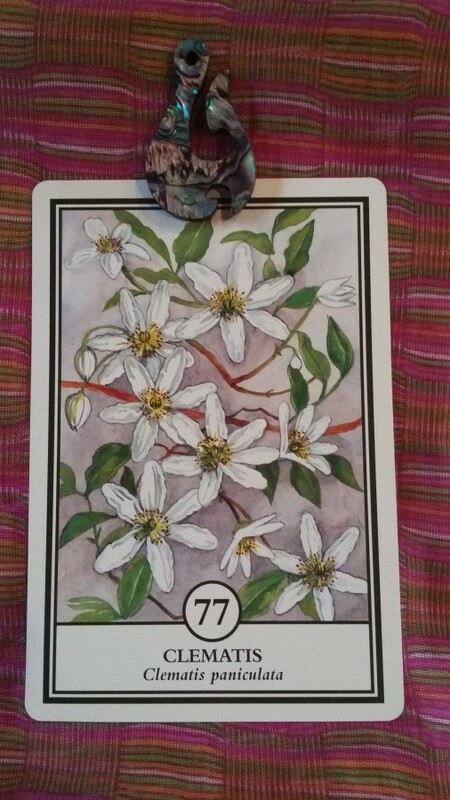 Call upon your resilience, discipline and self-control and muster all the forces within you to achieve your desired outcome. This is a time of goal setting for the direction you wish to move in. To achieve your goals you must let go of the part of you that is at war with itself or feels out of control. Remember you have everything you need inside you to achieve your goals. You need to get clear about what you want, stand up for yourself and get focused. You are a spiritual warrior and in charge of your own destiny. #2. 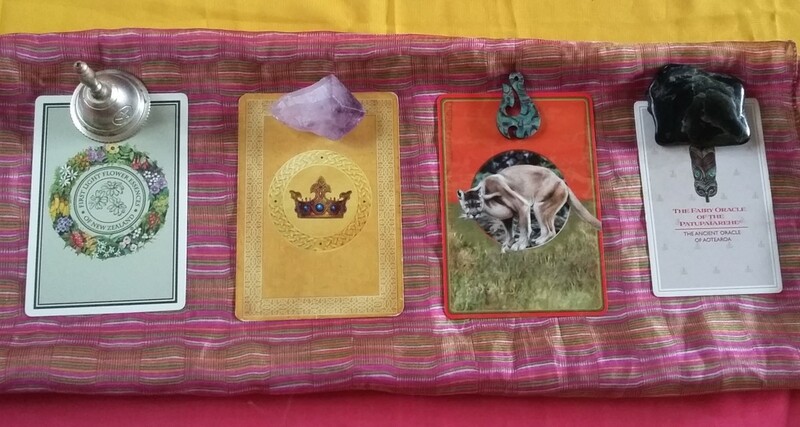 Crown card with Amethyst. Athena. Inner Wisdom. 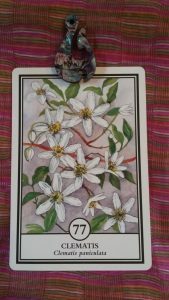 This card is about trusting your inner knowing. Often we doubt ourselves, or second guess what we know to be true. When we do this we give our power away. It’s time to trust your gut and own your power. Quiet your mind for a second and listen to your higher self. It won’t let you down. Stop procrastinating and just get your stuff done. You already know what you’re supposed to be doing. Trust yourself. 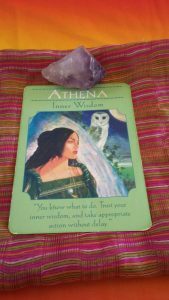 From Doreen Virtue’s Goddess Guidance Oracle Cards. #3. Puma/Cat card with Paua fish hook. Dragonfly. Illusion. It’s time for you to take off your mask and be your true and authentic self. Stop worrying about what others think of you. You know the truth of who you are and no one can take that away from you. There are times we need our masks, and that’s ok, but we need to not get lost in the deception of those masks. Don’t be scared to shine and fly. It’s your time to show the world just who you really are. Your authenticity has power. 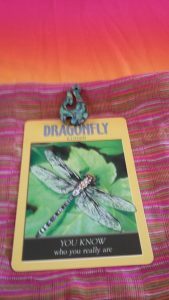 From Steven D. Farmer’s Power Animal Oracle Cards. #4. Maori carving card with Greenstone. 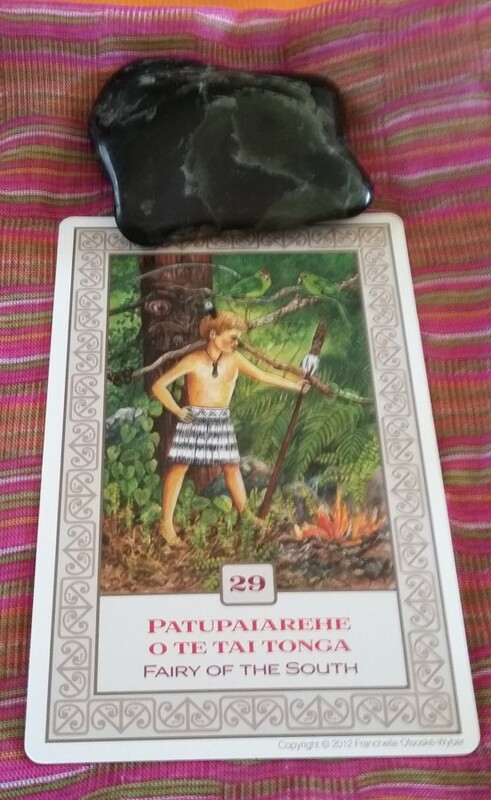 PATUPAIAREHE 0 TE TAI TONGA – Fairy of the South. PATUPAIAREHE 0 TE TAI TONGA – Fairy of the South. The south is the place of fire, and as such reminds us of the warmth of relationships and kinship ties. Take some time to nurture the relationships in your life and your relationship with yourself too. The south is the place of the heart chakra and where we find our inner spark. What sparks your fire? What makes your heart sing? The answers to the questions will help you on your journey. Your passion will carry you through, but don’t forget to stop and re-evaluate every once in a while. Be inspired by your own potential and push through. With the Fairy of the South we find our inter-relatedness with all things. This is a reminder that we are one with everything that exists. When we accept this truth our well-being improves. Call your inner warrior to action and celebrate that you are a seeker of light. #1. Mermaid and fairy card with bell. Ready, Set, Go! It’s time to put your dreams into action. Sometimes we don’t feel completely ready to step up, but I’m here to tell you you’ve got this! Take charge of your schedule, prioritise your time and energy, and put in the time and effort necessary into achieving your goals. Not only will this increase your self-esteem, every step in the right direction, no matter how small keeps you on track. Let go of the time wasting activities that take you away from you mission in life. Remember to delegate. You don’t have to do everything by yourself. Dive into your most abundant and happy future. From Doreen Virtue’s Magical Mermaids and Dolphins oracle cards deck. You need to let others assist you in your creative endeavours and goals. Enlisting the help of others will get you much further than you can get on your own. Don’t be afraid to ask for help. You may be surprised how many others share in your goal and want to see you achieve it. They say it takes a village to raise a child, and so it is with creative endeavours too. Open up and let them in. From Christiane Northrup, MD’s Women’s Bodies, Women’s Wisdom healing cards. #3. First Light Flower Essences of New Zealand card with Paua shell fish hook. Clematis – Humour. White Light Protection. Be fully present in the moment and don’t take life too seriously. Get grounded. Laugh at yourself and accept your perceived faults as well as those of others. It’s time to reclaim your power and learn how to be comfortable with all the power you possess. The more you face your fears, the less hold they have over you. Stop denying your shadow side and instead integrate it wholly. You have the power inside you to overcome your fears and create order from the surrounding chaos. It’s also time for a space and energy cleanse in your life. Liberate yourself from dis-empowering people and situations. Reassess whether people or addictions are trying to manipulate you, control you, trap or block you, and take your power back. Look back and try to identify any times you gave your power away so you can prevent it from happening again. Let go of any pent up rage, self-hated, anxiety, feelings of inadequacy or insecurity. This letting go will help you on your journey of spiritual and personal growth. Remember you are protected and so much stronger than you think you are. #4. 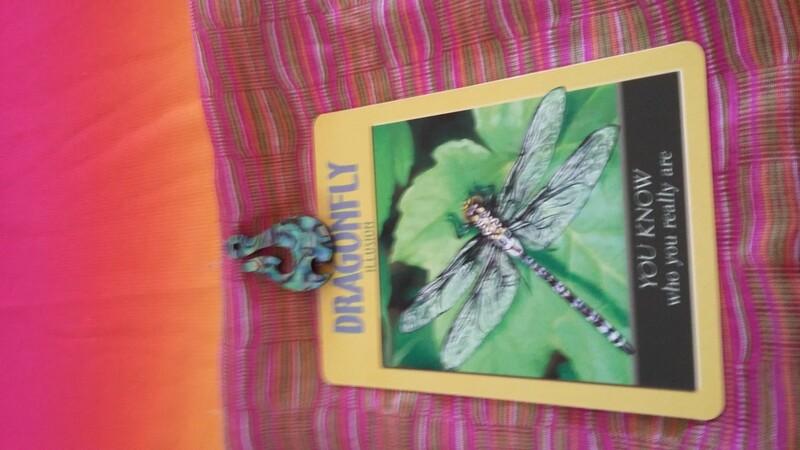 Butterfly card with Greenstone. Intention. Our thoughts and intentions have power, and as such, have a massive impact on our lives, therefore we need to be very clear about what we want to manifest in our life. If you want to create positive loving experiences you need to have positive and loving intentions. If what you are putting out into the world is fear, doubt, stress and uncertainty, this is what will manifest. It is so important for us to focus our thoughts and intentions on what we want to create, rather than getting bogged down in what we don’t want to create. So create a clear picture in your head of what you want, and go for it by focusing your intention and energies into manifesting the positive and joyful into your life. You have to power to create what you really want in life, and it all starts with your clear intention. From Toni Carmine Salerno’s Universal Wisdom Oracle Cards pack. Another thing I’ve found about giving oracle readings for others is there is always a message or lesson or new learning for me too with each one. 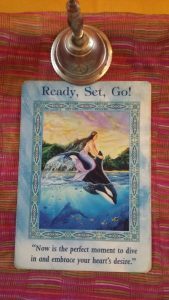 When I first started working with Oracle cards over a decade ago, just for my own healing and guidance, I dreamed of being able to accurately work with them for others. Now to get so much good feedback about my readings, and have a demand for them is not only heartwarming, it serves to tell me I’m on track and moving in the right direction. 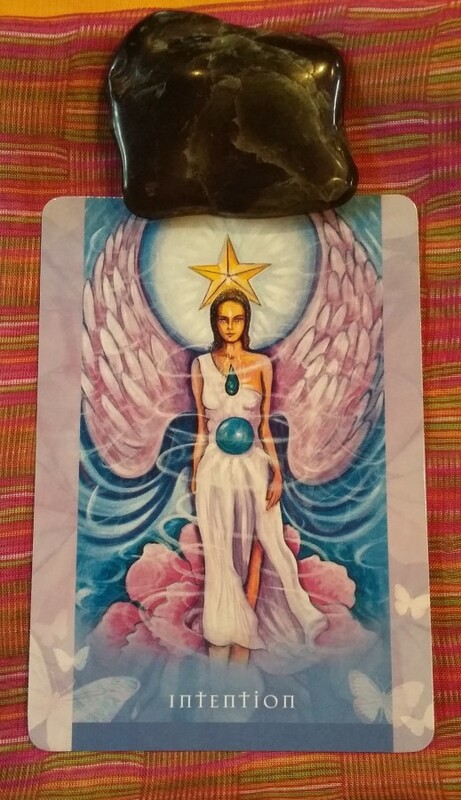 Working with cards helps me to hone my own intuitive gifts and deepens my connection to spirit, and allows me to help others tap into their own intuitive potential too and start leaning how to trust their own gifts, which is rewarding. 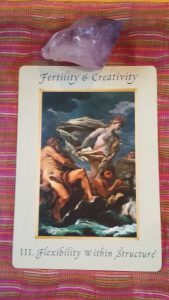 To get your free reading every Friday, or if you are interested in your own personal reading you can contact me on facebook here. You can contact me via my website too. There is also four days left to take advantage of my Half Price September Spring Sale.